Most people are familiar with Elisabeth Kubler-Ross’s famous stages of grief: denial, anger, bargaining, depression and acceptance. She herself acknowledged that those who are dying (the original study members) and their survivors may not follow these stages in exact order. But as time has passed since her 1969 book On Death and Dying, society has adopted these five stages as gospel. They’ve been co-opted to explain the feelings of fans after their favorite sports team is eliminated from post-season play, or a TV show is cancelled. It’s only recently that the medical community has questioned those stages. From my own experience, I’d say they’re pretty accurate. But grief – mine included - is rarely neat and linear. 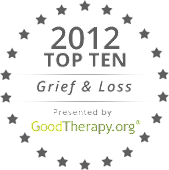 "For some, grieving is complete after the loss is accepted. But for others, such events as the anniversary of a death or a scene that jogs the memory can send them slamming into grief again, according to a case study by Margaret Baier, Ph.D., an assistant professor in the family and consumer sciences department at Baylor and a marriage and family therapist, and Ruth Buechsel, a psychologist at Brooke in San Antonio. Their study appears in the September Mental Health Practice nursing journal." Anyone who has grieved a friend or family member knows about being blindsided. Some things – like anniversaries – can be anticipated. You expect to feel bad that day. Other things cannot: the song that plays on the radio while you’re driving, the smell of bread baking, or the old photo that falls out of a book you’re reading. These things and many more can trigger an emotional reaction that takes you by surprise. It would be a normal reaction to be upset by pinball machine grieving. After all, you were told about the five stages, and you went through them. You’re done, right? “You don’t get over it, you just get used to it,” a friend’s recently widowed mother said after my father died. She was right. Time passes and you get used to your friend being gone. But then something happens, something completely unexpected, and you realize you’ll never get over it. Six years after my friend Delle died, there are still times when the sight of a grey PT Cruiser (her car) will bring me down. And maybe that’s the lesson from the Baylor/Brooke Army Medical Center study. You get used to them being gone, but at any moment, you can be reminded of the love you shared. Why would that be a surprise?